For nearly a century, Evanston, Illinois, the home of the Temperance Movement, was a dry city. In dire need of liquor laws that weren’t penned the same year as the invention of the band-aid, FEW’s master distiller overturned century-old prohibition laws to become Evanston’s first distiller of grain spirits within the city limits. This special expression from FEW spirits is specially designed for brunch eaters everywhere. With the classic French 75 cocktail in mind. This distinct gin is infused with earl grey tea botanicals. "It's 10 am somewhere and Few Breakfast Gin is here to go with your pancakes." 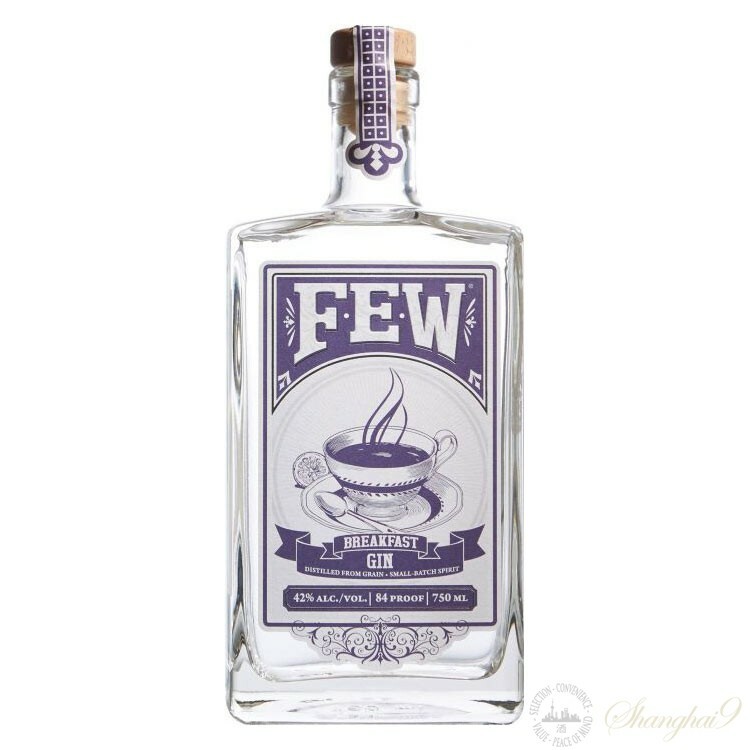 Released in 2015, FEW Breakfast Gin combines traditional gin botanicals such as juniper, coriander, and citrus with the Earl Grey tea. Distilled from grain, it is bottled at 42% ABV.